Fairtrade fashion show, originally uploaded by timabbott. 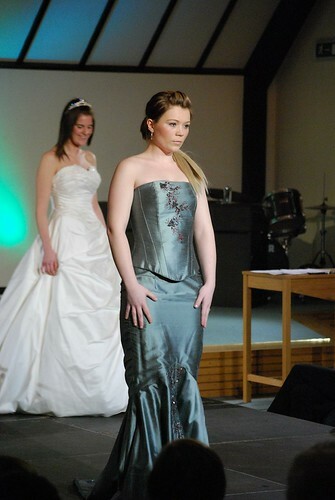 On Saturday I was at the 2nd annual Colchester Fair Trade Fashion Show. Among the many models were the members of Collective who absolutely loved showing off the wedding dresses – no surprise there!